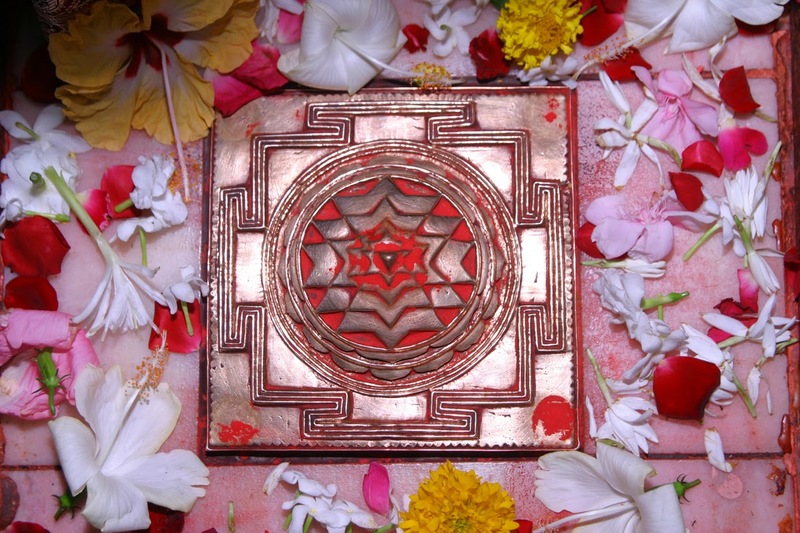 A Yantra is an instrument, or a talisman or a mystical diagram usually in crystal, Copper, Silver, Ashtadhatu, and Bhojpatra or on other religious metals with Silver or Gold Plating. It is a technique or path, considered the simplest and shortest, through which one can attain one's desires, and fulfil one's wishes. It is said that the 'Deities' reside in the Yantras and by performing 'Puja' or worship of Yantras, one can appease them, remove the malefic effects of planets, and increase the flow of positive influences. As such we do a Primary Puja (Pran Prathishta) of the Yantras that are sent to our valued customers, but we simultaneously recommend that they themselves also perform the following Puja of the Yantra that they have received for getting a maximum benefit. First purify your body and start with a clear and positive mind frame. Light the incense or diya. (It does not matter how many you light). Open the Yantra and place it along with the image of the divinity of yantra and your ISHT God. Take the water with any leaf from any tree and sprinkle the water on yourself followed by sprinkling the water on the Yantra.